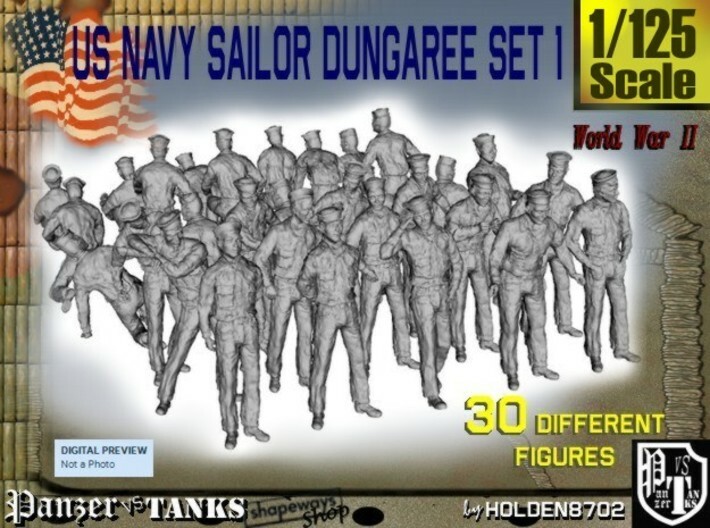 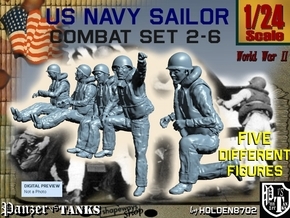 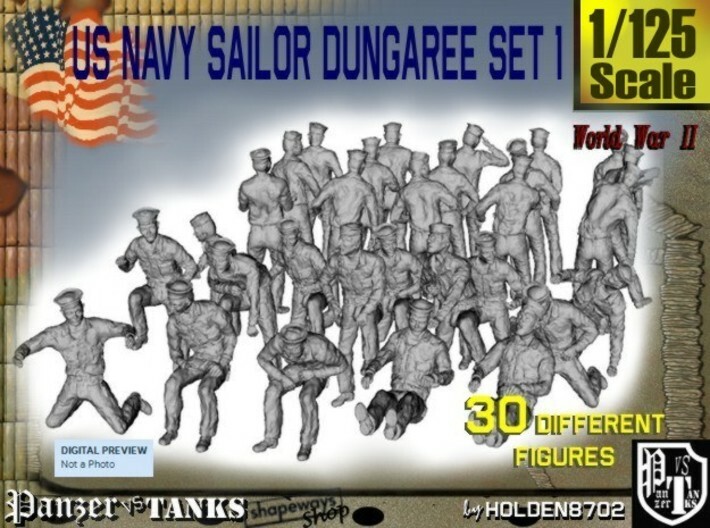 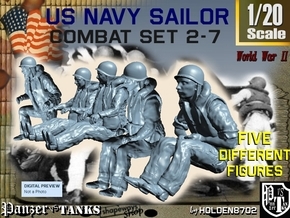 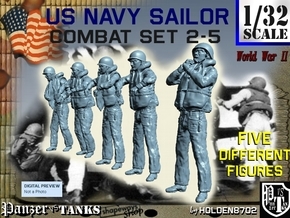 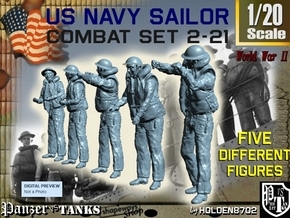 This set depicts 30 different figures in various poses, from static dull drill poses to working or seated ones. 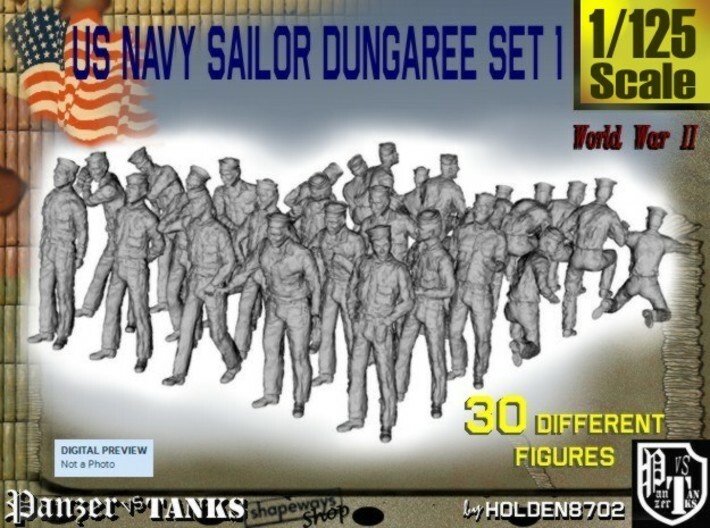 Sailors in this set wear fatigue uniforms, with Dungaree (blue jeans type) trousers, Chambray shirts (this set with long sleeves only), and Dixie Cup sailor hat. 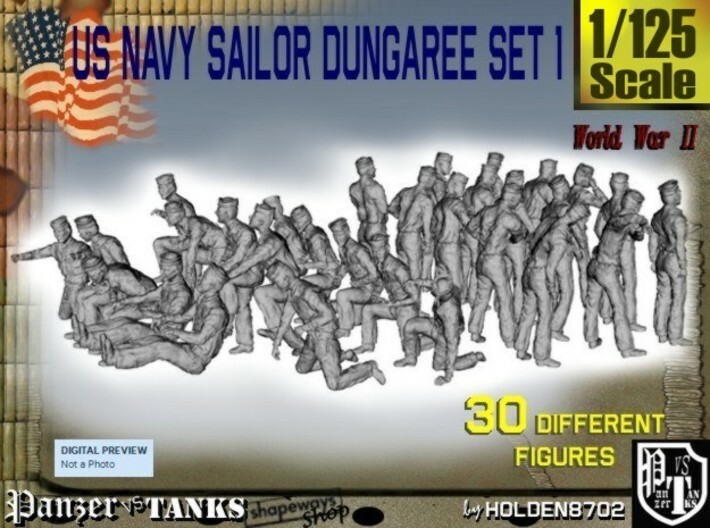 Figures 14.4 mm. 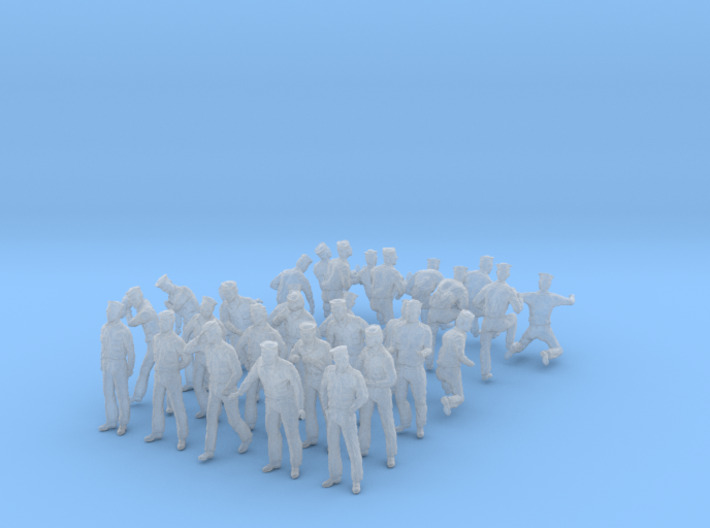 - 0.56 inches tall.